An Author’s Inspiration – a most intriguing signet ring! If one is going to be financially successful as a writer of historical fiction, one should write about the Tudors. Or World War II. Or Regency (especially when thinking Romance). One should not pin too much hope on making millions and millions by setting the story in the 17th century as it exists in a bubble of obscurity, trapped between the great drama of the 16th century and the bloody upheaval of the 18th. The 17th century has no Marie Antoinette, no Mary Queen of Scots. For the history nerds among us, there’s nothing remotely obscure about the 17th century. This is the dawn of the Early Modern Age, a period defined by religious strife. It has the Thirty Years’ War, it has pillage. It has Wallenstein and Philip IV. It has (sniff) Gustav II Adolf hitting the dust at the Battle of Lützen. 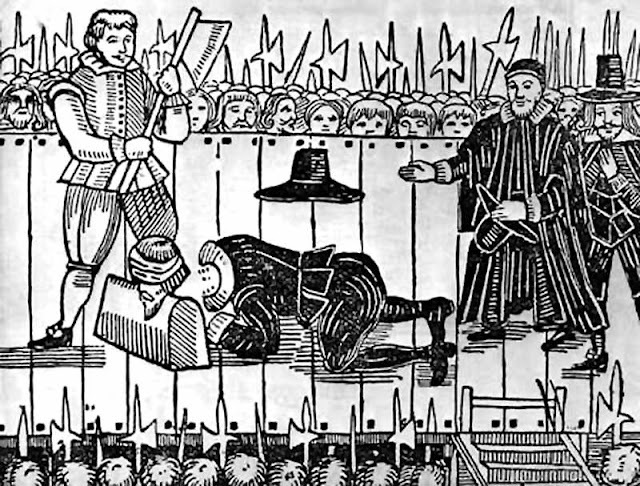 It has the English Civil War, the execution of Charles I, Cromwell’s mass deportation of the Irish. It has Mazarin and Louis XIV, it has the Dutch rebellion against the Spanish, it has a Glorious Revolution, it has men like John Locke and Isaac Newton. Reading through that rather impressive list, I can but wonder why not all historical fiction writers gravitate towards this fascinating era. Of late, more and more have, but no matter how handsome and impetuous the Stuarts, those Tudor redheads remain securely seated at the top of the historical fiction pyramid. Somewhat strange, IMO. Seriously, how many more versions of the Anne Boleyn story can we read? Why does a cruel and vindictive king with the girth of a pregnant Clydesdale evoke such interest? Beyond me, peeps. I must, however, admit that despite the historical smorgasbord offered by the 17th century, there is a very personal reason for my fascination with the 17th century, and that’s my husband. Let me immediately disillusion you by assuring you my husband is not a time traveller. And I’m thinking this is a good thing, all in all. My man has his feet very firmly planted in the here and now, a counter weight to my flights of fancy, an anchor to hold me, a harbour to keep me safe. Right; my infatuation with Mr Belfrage is neither here nor there – or maybe it is, but I must not digress – but the fact that he carries a signet ring on his finger is very relevant to this post, as is the fact that his family can be traced back to the more remote parts of time. He can claim ancestry from Erik XIV of Sweden (but rarely does, as Erik XIV was borderline insane, plus 90% of all Swedish noble families share that honour) but he can also claim Stuart ancestry – and all because of the religious upheaval that plagued Scotland in the 17th century. Picture Gothenburg in the early 17th century: having brought in Dutch city planners to design his new city – as yet very much under muddy construction – the Swedish king, Gustav II Adolf, also needed to populate this city of his, preferably with merchants. Sweden at the time mostly traded in raw material. We exported timber, iron ore, wool and oats. We imported everything else – including capable people. On the opposite side of the North Sea lived a nation of savvy merchants, namely the Scots. 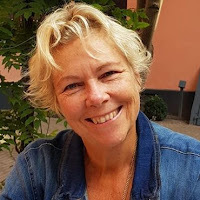 Being a small and relatively poor country, Scotland produced a number of surplus sons, many of whom crossed the sea to Sweden (or elsewhere – preferably elsewhere – only a minority chose Sweden, having as yet not developed latter day’s appreciation for Swedish blondes). To this building site, yet another Scot arrived in 1624 – no doubt attracted by the fact that so many Scots were already there. John Belfrage was twelve, and came with his mother, Joneta Stuart. According to surviving records, they were fleeing their homeland due to religious persecution – that was the reason Joneta gave. Given that they chose to go to Sweden, we must assume these refugees were Protestants. 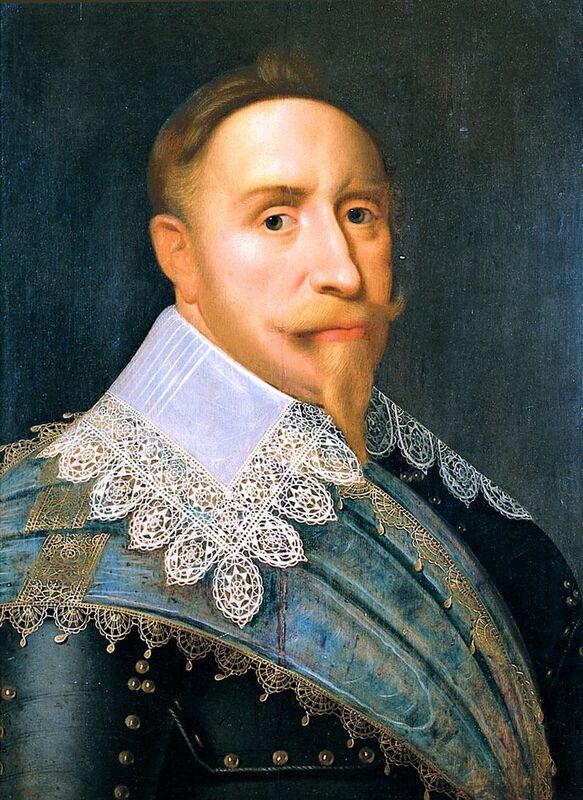 Sweden looked askance at Catholics, what with Gustavus Adolphus being busy cementing his reputation as the global defender of all Protestants. As John received an education and rose to local prominence, we can deduce that Joneta carried funds of some kind with her. Other than that, we know very little. In what straits did Joneta find herself that her powerful Stuart connections could not help her? After all, Joneta was a Stuart, albeit from a cadet branch, but still…And what became of John’s father? John made a good life for himself. He became the mayor of a small Swedish city, saw his name and coat of arms among the Swedish nobility and had well over ten children. By the time he died, he was probably more Swedish than Scots, answering to the name of Hans (a diminutive of Johannes) rather than John. He probably mostly spoke Swedish, but I bet he now and then dreamed in Scots. Personally, I get the impression this was a very ambitious man, on a mission to reclaim whatever grandeur the precipitated flight from his homeland had caused him to leave behind. In my experience, vastly ambitious people have a large streak of egoism in them, so I am not entirely sure Hans would have been the kind of person I’d have liked wholeheartedly. But he did make good, and for that I doff my mental hat to him. This little glimpse into my husband’s ancestry fascinated me (it made him so exotic! Me, being young, craved exotic) Where before my preferred historical reading matter tended to be focused on the 11th to 14th century (and I still spend a substantial amount of time submerged in this period. First loves never die, they say), I began reading extensively about the sixteen hundreds, a period defined not only by religious conflicts but also by the birth of modern science, of modern concepts such as the rights of men. Sadly, at the time those human rights did not include the right to worship as one pleased, but the seeds for future liberties were sown. Out of all this reading The Graham Saga began to take form. My central character very quickly became a Scot, and because I was particularly intrigued by the tales of Covenanters and the brutal persecution they suffered at the hands of the restored Stuart monarchy, this shadow man of mine developed into a former Commonwealth soldier, a man of convictions and a deep personal faith. Just to spice up his life a bit, I decided to endow this man with a woman very different from him. Enter Alexandra Lind, a modern-day woman who had the misfortune (or not) to fall through time and land at Matthew’s feet. The rest, as they say, is history. It all began in A Rip in the Veil, when Alex Lind first clapped her concussed eyes on Matthew Graham. Below an excerpt from that first book – I hope you enjoy it! “I’m Alex Lind.” She eased herself up to sit. She licked her lips, and he fumbled in the dark for his water skin, extending it in her direction. “What are you?” he whispered, making her turn to face him. His mouth twisted into a wry smile. Aye, that was very true. He leaned towards her, trying to see her eyes in the dark. She was staring at him, hands clenched tight around each other. Matthew gave her a wary look; the lass was gaping as if she’d seen a ghost. She gulped and scooted away from him, her gaze flying to his bundle, the flint and steel he’d left discarded on the floor. She moaned, hid her face in her arms. “What’s a car?” he said. She laughed, and then she began to cry. He followed her outside, made a grab for her when she slipped. He had no idea what she was looking for as she limped up and down the slope, but whatever it was, it wasn’t where she’d expected it to be. “A dream, it’s just a dream, isn’t it?” She looked at him beseechingly, and he had no idea what to say. This was no dream, not unless they were both sleeping and dreaming the same thing. “It can’t be true.” To his surprise she placed a hand on his arm. “Too solid,” she moaned, “you’re too damn solid, you hear?” She hit him, repeatedly. “So are you, lass, but I don’t take to hitting you, do I?” He wrapped his arms around her, pinned down her hands. “Sorry,” she hiccupped before breaking down completely, a warm weight against his chest. Dearest Lord, but it felt good to hold a woman this close, her hair tickling his nose. It was a near on perfect match, her body a collection of curves that fitted comfortably into his larger and broader frame, her head resting against his shoulder. With an effort he released her. She was still weeping, albeit silently, and he coaxed her back inside, unnerved by her dejection. She just shook her head, mumbled something he made out as ‘impossible’, and sank down to sit before the little fire. Had Anna been allowed to choose, she’d have become a time-traveller. As this was impossible, she became a financial professional with two absorbing interests: history and writing. Anna has authored the acclaimed time travelling series The Graham Saga, set in 17th century Scotland and Maryland, as well as the equally acclaimed medieval series The King’s Greatest Enemy which is set in 14th century England. She has recently released the first in a new series, The Wanderer. This time, she steps out of her normal historical context and A Torch in His Heart is with a fast-paced contemporary romantic suspense with paranormal and time-slip ingredients. She has loved writing it – she hopes her readers will like reading it just as much. 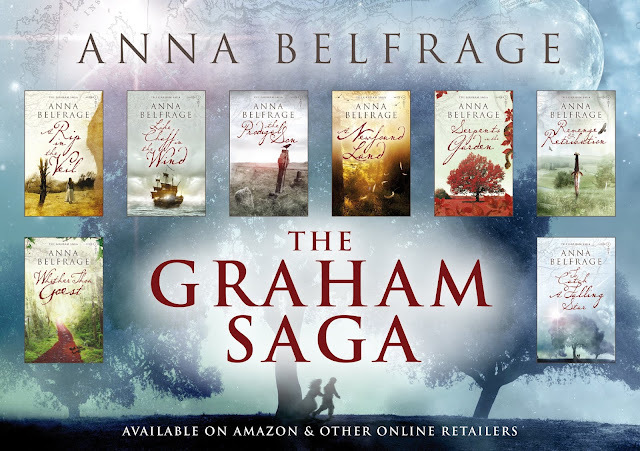 Find out more about Anna by visiting her website, or her Amazon page. You can also find her on Twitter and on Facebook. What a fascinating family history your husband has, Anna. 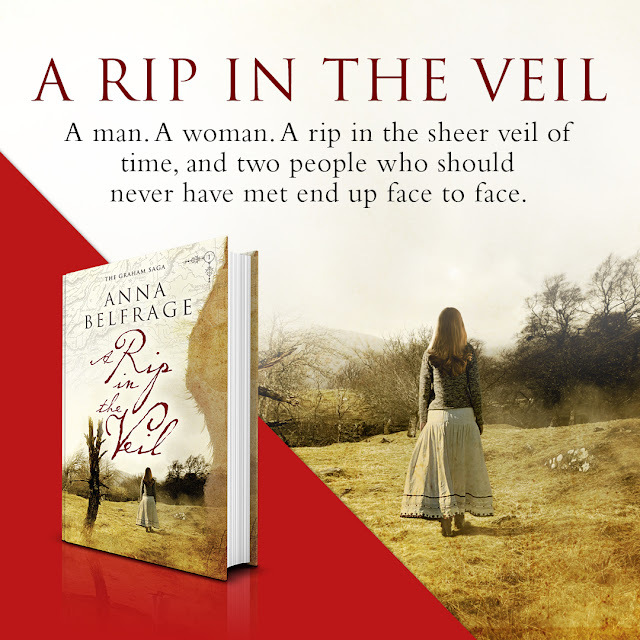 Your excerpt from A Rip in the Veil has hooked me in, will be downloading a copy to my kindle!